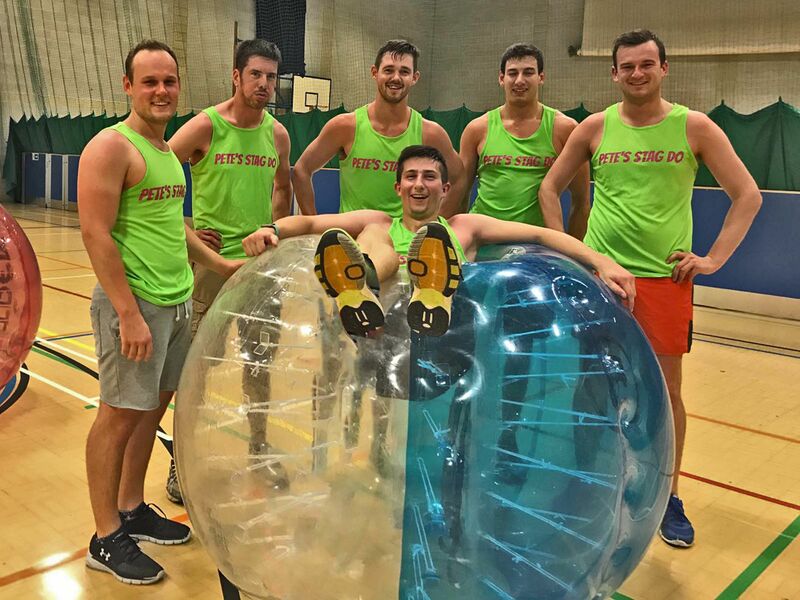 An activity that creates some hilariously epic memories is the perfect kind for a stag do, and if you’re looking for just that with something totally different then the Windsor zorb football stag do is for you. 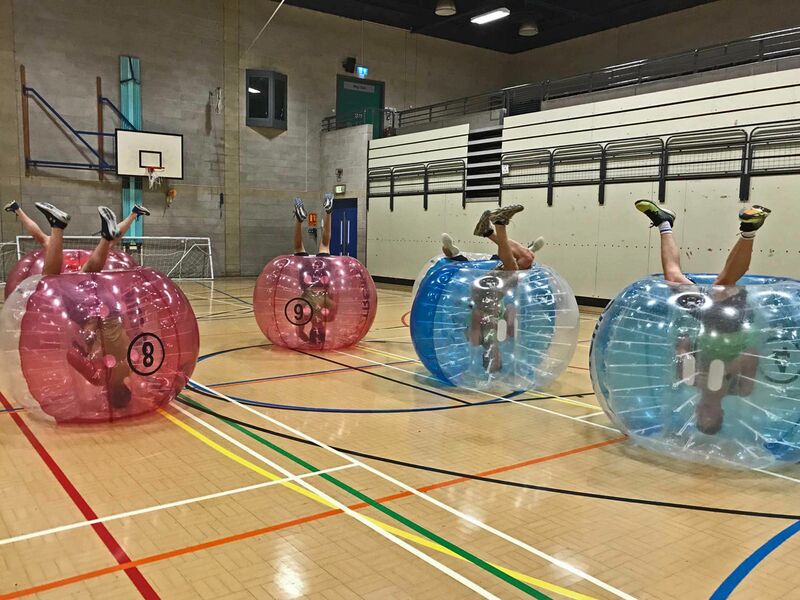 Although not the obvious choice, Windsor is full of activity based and nightlife gems that are perfect for a stag do, including the bubble football which will have all your mates in fits of laughter! Although you might not be able to squeeze in your best Cruyff Turn in this epic Windsor stag do bubble football session, you’re sure to learn some new skills while you bounce the opposing team out of the way to take the ultimate victory. 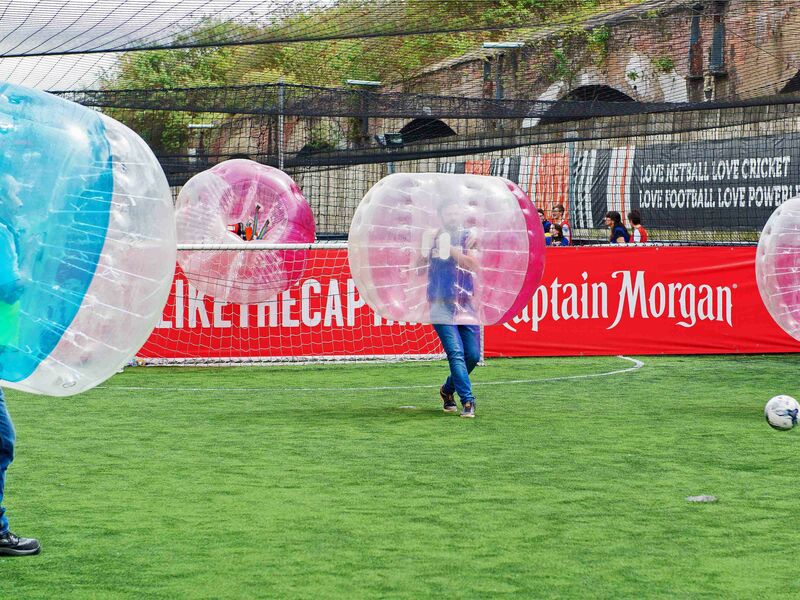 When you arrive, jump into your individual, inflatable bubbles and get ready to play 5 a side football like never before. 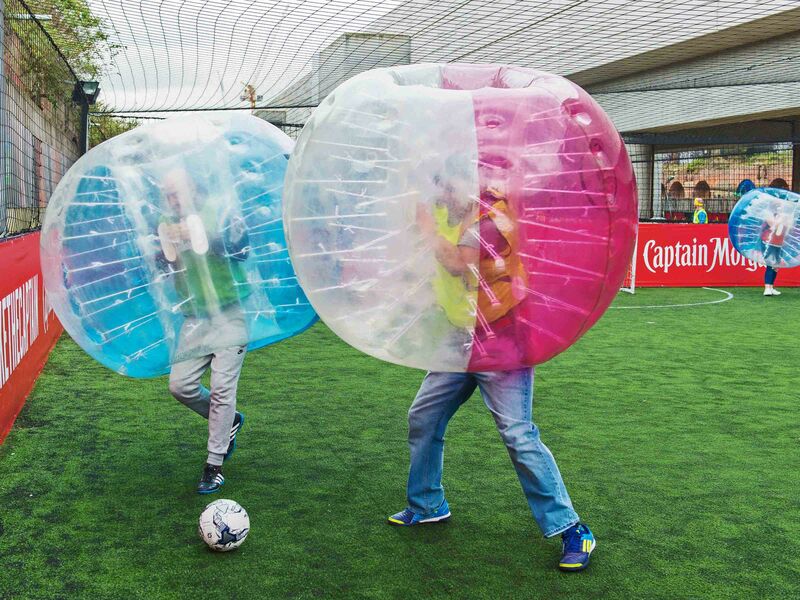 During your game there will be a referee to take score and kick off any unruly players, so bring your A game and try not to get benched – sitting down in these huge hamster balls proves difficult trust us! As well as the football, you’ll also get to play some mini games to really test your zorbing skills including Bulldog and Last Man Standing, both equally hilarious. Don’t worry about any organisation on the day, all you need to do is turn up and have a good time for your last day of freedom. 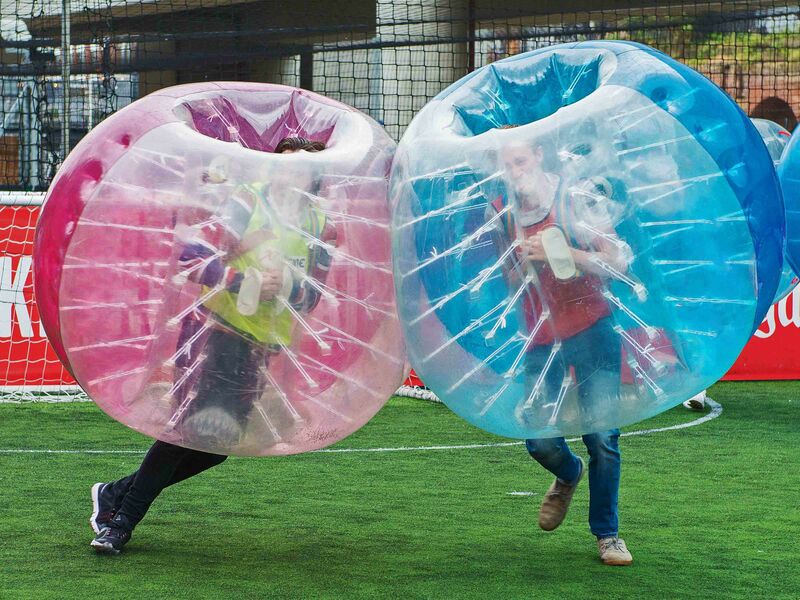 All the equipment you need will be provided, including the footballs, some team bibs and of course the zorb bubbles. 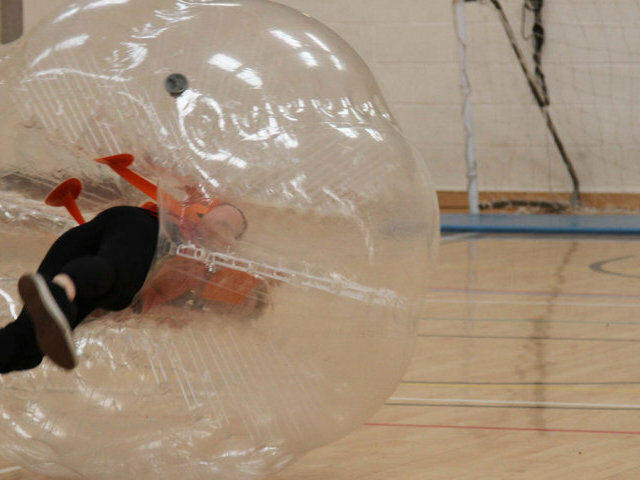 Whether you’re a football fanatic or you love a bit of laughter, this hilariously wacky Windsor stag do bubble football experience is perfect for all. If this activity already wasn’t good enough for the stag, most of our Windsor zorb football stag do venues are within the eclectic city centre. This means easy access to that victory beer you deserve, and all the pubs, bars and restaurants your heart could desire after you’ve worked up a thirst bouncing about.